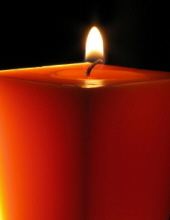 DOOLEY, KEVIN M. Age 52, of Dedham, March 29, 2019 Loving husband of Liz O’Donnell and devoted father to Joseph P. Dooley and Kate E. Dooley of Dedham. He will be missed by his mother Kathleen (Lynch) Dooley of Weymouth, his sisters Colleen Dooley of VA and Shannon Hume of Braintree, his brother-in-law Steve Hargan of VA, his aunts, uncles, cousins, nieces, nephews, and many in-laws. A loyal friend with a great sense of humor, Kevin was a graduate of Braintree High School and UMass Amherst where he was a member of the Pi Kappa Alpha Fraternity. A celebration of his life will be held at the Endicott Estate, 656 East St., Dedham on Wednesday, April 3, from 2:30-6pm. Words of Remembrance will be at 3:30pm. In lieu of flowers, donations may be made in Kevin’s name to the Benjamin Schlechter Research Fund at Beth Israel Deaconess Medical Center, Office of Development, 330 Brookline Ave. Boston, MA 02215. To plant a tree in memory of Kevin M. Dooley, please visit our Tribute Store. "Email Address" would like to share the life celebration of Kevin M. Dooley. Click on the "link" to go to share a favorite memory or leave a condolence message for the family.